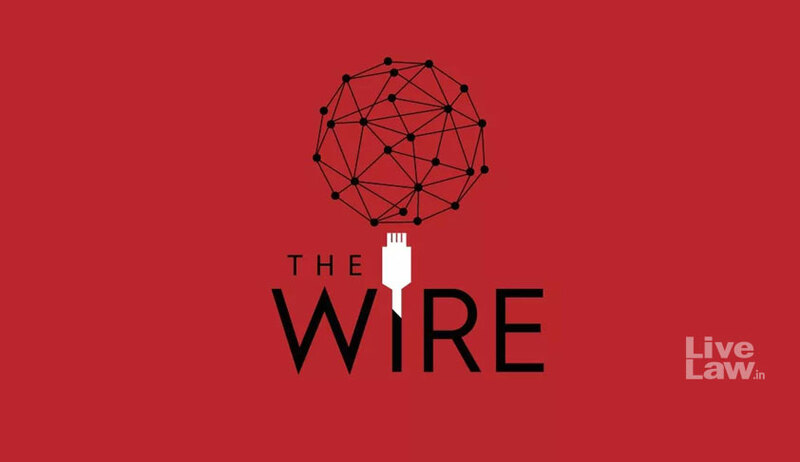 The Supreme Court bench of Chief Justice Dipak Misra, Justice D. Y. Chandrachud and Justice A. M. Khanwilkar on Thursday directed the Additional Chief Metropolitan Magistrate not to proceed with the criminal defamation proceedings against The Wire filed by Jay Shah, son of BJP President Amit Shah in respect of an article published in Wire until the next hearing before the apex court on April 12. February 8 judgment of the Gujarat High Court refusing to quash the defamation proceedings. "We respect freedom of press but it has limits, many in electronic media think they can write any thing. How can they write on any one whatever they like". The Wire in it's petition submitted that the truth of the article’s averments is self-evident, and are indeed admitted by the Respondent. "The article’s purport is summed up thus- “BJP president Amit Shah’s son, Jay Shah, has seen a dramatic increase in some of his businesses since Narendra Modi became prime minister.” There is thus a straight forward narration of events neither asserting honesty nor dishonesty but holding the sequence of events out for public scrutiny. This is not ‘imputation’ within the meaning of S.499 IPC to warrant even issue of summons. Yet the High court has declined to quash the summoning order observing that the articles tries to “portray” these facts. Matters that law intends to be in the public domain, can hardly be a portrayal attributed to the Petitioners, much less constitute a criminal offence". I. Can publication of matters intended by law to be in the public domain constitute a criminal offence of defamation? II. Can such a publication amount to an imputation merely because it raises questions about the conduct of public figures? III. Is the truth of public record or the public interest inherent in the conduct of public sector companies too a matter only to be seen at the trial by way of a defence of Exception to S.499 IPC? IV. What is the threshold a questioning or even criticism must cross before it can be termed an “imputation” under S.499 IPC so as to warrant issue of summons? V. Is the law of criminal defamation such that even publication of matters based on public record, and in this case, confirmed by the complainant, will require the truth to be proven only at a criminal trial as an Exception? VI. Can a court refrain from looking at public record for assessing a complaint of defamation before it issues process in relation to a publication based on record? VII. What is the evidentiary burden that a complainant has to fulfill before issuance of process for the offence of defamation? VIII. What is the legal burden on a complainant to establish a prima facie case of defamation for the purpose of issuance of process? IX. Whether the possibility that defamation may yet be proved to have occurred sufficient for initiation of criminal process, without any pre summoning evidence to establish the same? X. Whether the High Court has erred in not recording any finding regarding the sufficiency of the Ld. Trial Court’s satisfaction about the basic ingredients of defamation? XI. Whether defamation can be prima facie inferred simply on the basis of a witness’s statement claiming defamation, that is, whether the Ld. Magistrate has to accept such a statement without any further application of mind? XII. Whether defamation can be claimed where there is no evidence to show that the complainant’s reputation has been hurt? XIII. Whether a witness’ statement that others (not him personally) have may be led to think ill of the complainant can be acted upon not be hit by the rule against hearsay and conjecture? XIV. Whether a Magistrate is bound to indepenantly assess the complaint and evidence under Section 202 of the CrPC to judge whether there is a prima facie case of defamation before issuance of process? The Gujarat High Court, in the impugned judgment, had observed, “Having gone through both the articles, i.e, the first, published in point of time and the later one after the first was withdrawn, prima facie, I am of the view that a case is made out to proceed against the writ applicants for the offence of defamation. Here is a case of a complainant, who happens to be the son of the President of a political party viz. Bhartiya Janta Party at the National level. The article in question talks about the business of the complainant and the sudden rise or the escalation in the revenue of the company owned by the complainant. The most disturbing part of the article, or to put it in other words, the imputation which could be termed as prima facie defamatory is the averment that the turnover of the company owned by the complainant, who happens to be the son of the leader of the Bhartiya Janta Party increased 16,000/- times over in the year following the election of Shri Narendra Modi as the Prime Minister and the elevation of his father to the post of party president”. The High Court had also noted, “what becomes critical therefore is balance: The fine equilibrium required between protecting the freedom of speech, fair comment and criticism (including investigative journalism and whistleblower action) on the one hand and transgression into malicious defamation of a person for oblique or political purposes on the other”. recent instance of the Delhi High Court taking suo motu cognizance of “innuendo-laden tweets” posted by journalist Swaminathan Gurumurthy questioning the credibility of Justice S Muralidhar, who was on a division bench with Justice IS Mehta which granted interim protection to Karti Chidambaram from being arrested by the Enforcement Directorate in the INX Media case.